Secret Honor (1984): Philip Baker Hall turns in a riveting performance in this adaptation of the one-man stage play (Altman? Doing a stage adaptation in the mid-1980s?) by Donald Freed and Arnold M. Stone. 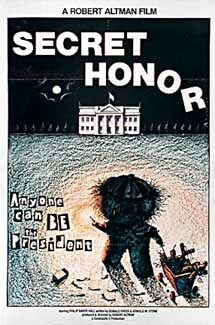 Hall stars as former President Richard M. Nixon—first seen, appropriately enough, as a fuzzy entity on a TV monitor—dictating notes that quickly and frequently degenerate into paranoid, semi-coherent ramblings. Drunk and possibly suicidal, the words spit from his mouth with spite and bile, Hall is just plain phenomenal. 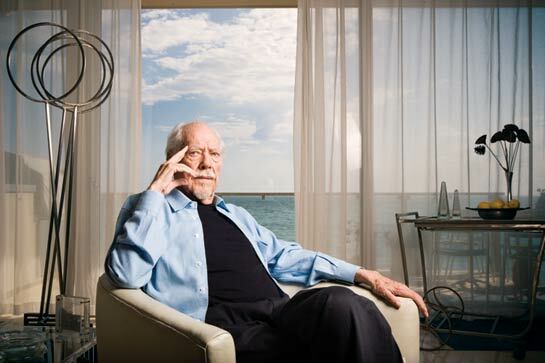 Altman, meanwhile, manages to take possibly the stagiest of his theatre-to-cinema pieces and shoot it in such a manner that our attention never wavers. REGULARS: Only one guy is in it—and, strangely (for both of them), Hall and Altman had not worked together before, and did not work together again. 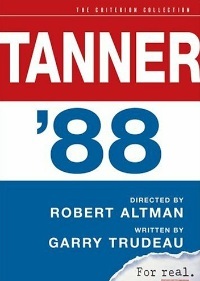 Tanner ’88 (1988): Altman teamed with Doonesbury creator Garry Trudeau for this 11-episode HBO series, tracking a fictional Democratic presidential candidate through primary season and to the national convention. As with Soderbergh’s 2004 HBO series K Street, the end result is a remarkable hybrid of fact and fiction, in which “Jack Tanner” intersects with the real campaign, interacting with other candidates, media figures, political mucketymucks, and community activists at cocktail parties, community meetings, fundraisers, and events. It’s an intriguing method of examining real political ideas through a narrative prism, and it mostly works—though, with the show done in such a freewheeling style (even by Altman’s standards), the occasional narrative contrivances ring especially false. In terms of the politics, it feels simultaneously authentic and quaint, a time capsule, to be sure; certain elements (the scene where a voter hands Tanner a piece of paper with the word “HOPE,” the battle over superdelegates) feel like they could have come from the 2008 campaign. REGULARS: Michael Murphy plays Tanner; he was probably in more of Altman’s stuff than anybody else. Cynthia Nixon, in addition to doing the 2004 follow-up mini-series Tanner on Tanner, did O.C. and Stiggs. Kevin J. O’Connor, seen here is a slightly (but only slightly) idealistic reporter, was in The Caine-Mutiny Court Martial.